Thursday- hopefully the connection will hold for the picture update. We have had a great time in Arras and the war memorial at Vimy Ridge was very interesting. We are all looking forward to getting home tomorrow after an exhausting but fun week away. Mr. Delafield was unable to access the internet this morning in France but will update the website if he can connect later. The children are all well and travelled to Arras this morning. The weather remains good in France and the children are now at Vimy Ridge after enjoying their lunch in the cathedral gardens in Arras. 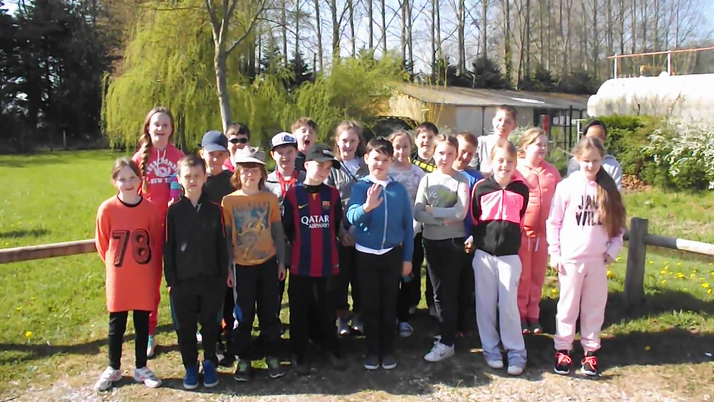 The children will be back at the Chateau around 7 o' clock tonight for tea and hopefully have some energy left for their disco. Had an amazing day out in Rouen. The weather has been glorious!! We saw the cathedral where Richard the Lionheart has his heart buried, the bone yard, had a lovely picnic in the park, had some time shopping and visited the church dedicated to Saint Joan of Arc the patron saint of France and saw the monument set up on the site of her execution. A really interesting, educational and fun day out. Tuesday evening- the children all enjoyed riddles and puzzles, the adults did too judging by the pictures! Tuesday late afternoon- spent at the beach. We made castles and sculptures as well as playing basketball and football. Tuesday afternoon- Croissant Making. We have made our own croissants which will be baked and served for breakfast tomorrow. We had to work together and take turns with all the jobs. A lovely, relaxing start. A lovely breakfast followed by fencing and archery. A four course lunch too! Yum-yum! All arrived safe and sound. Had a great time at Nausica. A lovely dinner and finished with a scrap heap challenge where we had to make children into robots. Here is where I will be posting the pictures and information about the residential visit to France. Check here for all the latest updates - internet connections permitting!